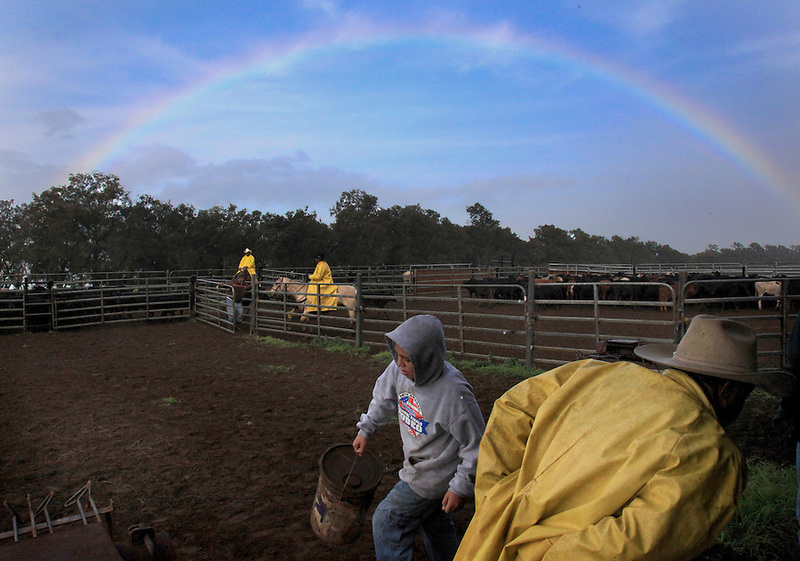 Rain, wind and rainbows are so common in paniolo country that most cowboys seem not to notice them. Here, at Kahua Ranch in North Kohala, Hawaii, 3000 ft above sea level, cowboys don their yellow slicks and get on with their work. Despite the warm sea level temperatures, the weather is often brutal up country where some of the best ranchland is. Winds can blow at 60 miles an hour or more and temperatures can drop into the low 40's.